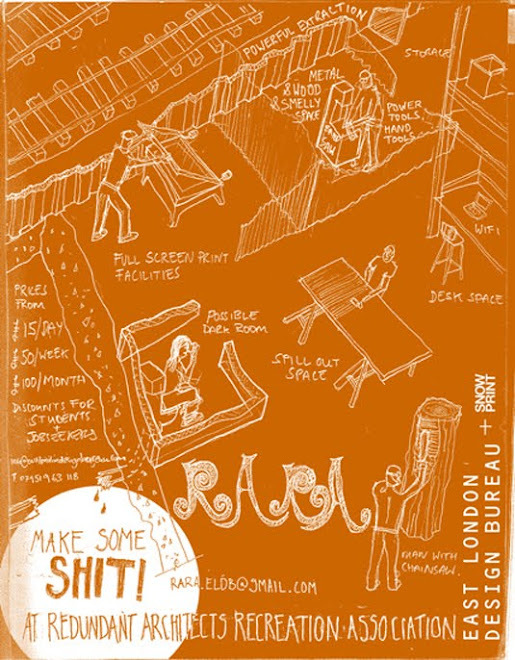 Redundant Architects Recreation Association (R.A.R.A. ): Soapbox Cars! These great cars were designed and made at RARA for the client Red Bull. Processes used in the fabrication include CNC, welding and joinery. "The sparkling yellow Lamborghini, electric pink Bentley and metallic gold Range Rover, have all arrived ahead of the infamous Red Bull Soapboax Race next weekend. 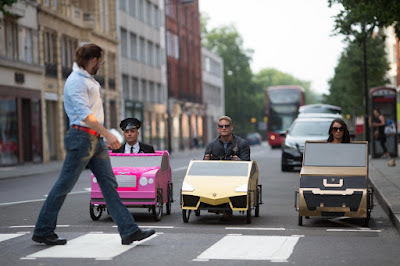 The race is held in countries across the world, challenging amateur drivers to fashion their own soapbox vehicles to compete against the clock in a downhill race – and this year, it’s coming back to London."